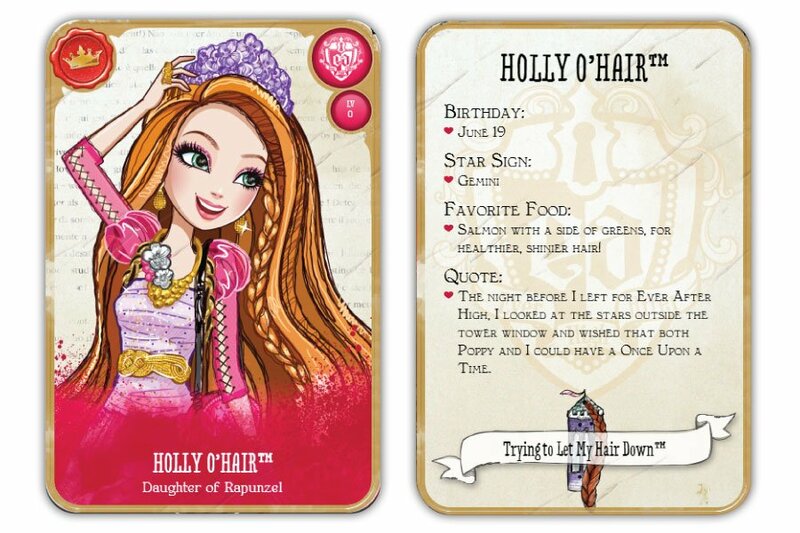 Continue reading if you want to discover Holly O’Hair’s Bio! She is the twin sister of Poppy O’Hair, and they both are daughters of Rapunzel. Her birthday is on June 19, her star sign is gemini and her favorite food is Salmon with a side of greens, for healthier, shiner hair! Holly is expected to be the next Rapunzen because she is slightly older than Poppy, although this has started to be doubted as in the O’Hair Split Ends webisode was revealed an important secret about that fact. She seems happy to help people when they use her hair for tower escapes as her mother did. She enjoys reading and she wishes to write a book, she says that an active imagination is every princess’s friend. Holly has a long strawberry blonde hair with a floral purple braid. 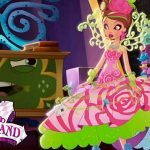 Her secret’s heart’s desire: After she lives out her sotry as the next Rapunzel, she wants to write a new book of fairytales, starring all her new friends! Her “Magic” touch: Even when cut, her hair can be made into the strongest rope or silkiest fabric. “Oh courses!” Moment: She’s been inside the twoer for so long, she’s royally afraid of heights. Plus doors always seem to lock behind her, and she thinks she can never get out! Her favourite subject: Damsel-In-Distressing. When she’s in the tower, she loves updating her Mirror Blog. Her least favourite subject: Grimmnastics. Specifically swim class. She says that it takes hours to truck all her hair inside a swim cap! Her best friends forever after: Poppy O’Hair and Blondie Lockes. 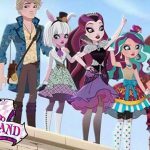 Quote: The night before I left for Ever After High, I looed at the stars outside the tower window and wished that both Popp and I could have a Once Upon a Time. I really like your hair and clothes????????? Holly’s hair is so pretty I wish that my hair was like that. Trust me, you do not want hair like Holly. Believe me, I know. Let’s have a tea party!!!! It’s OK if you have a secret crush on daring… Don’t we all?! 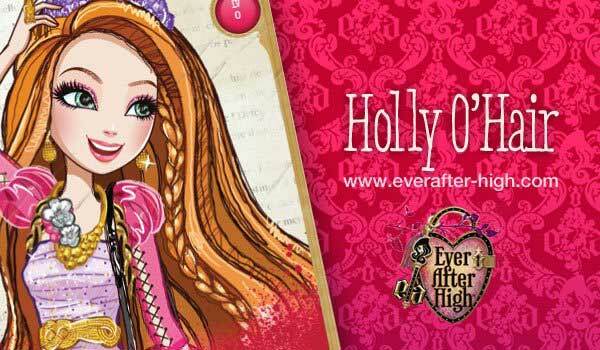 I never read ever after high but the website is awesome so I hope the book will be lovely!!!!!!!!!!!!!!! I Loooooooooooooooove holly because she has what it takes to be brave. just like her mother! ? I ❤️ Holly O’ Hair! I just wish she got more webisodes to be in. I think she’s just like her mum except slightly different coloured hair. She’s so nice and has long hair like me and so so Royal like! I don’t think that she likes Daring I just wanna say that……………………………that………………OOOPPPPSSSSKKKLLLAAAPPPOOOLLLKKKAAA!!!!!!!!!!! Amma little hard to try something riddlish like a tounge twister just wanna try watching tv with popcorn and coke. I loooooooooove Holly, she has everything that her mother is !?? ?